At a ceremony at the Kunsthaus Zürich, American artist Lawrence Weiner (born 1942) was awarded Europe’s best endowed art prize, the Roswitha Haftmann Prize. 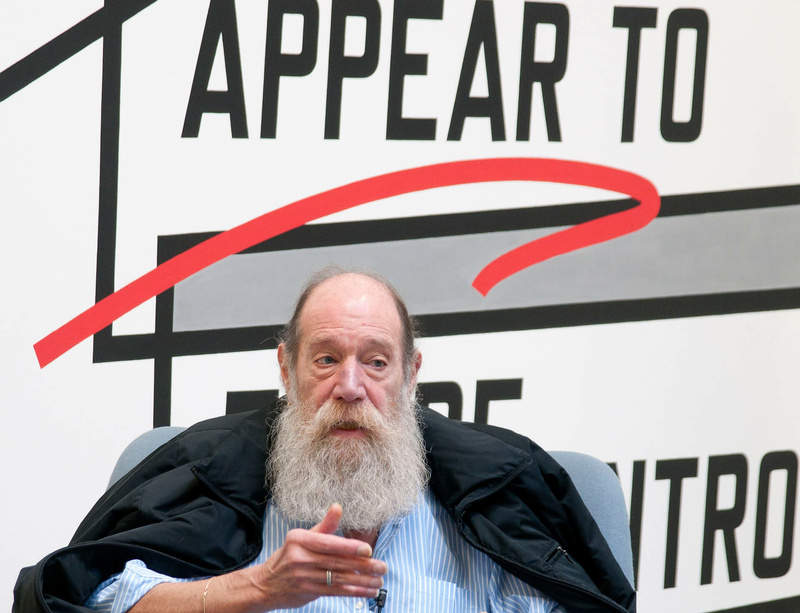 Lawrence Weiner is the fifteenth artist to receive the annual CHF 150,000 – previous recipients include Rosemarie Trockel, Pierre Huyghe, Robert Ryman and Jeff Wall. The prize was originally the initiative of Roswitha Haftmann (1924–1998), whose Foundation has awarded it since 2001 to a living artist who has created an oeuvre of outstanding quality. The winner is chosen by the Foundation Board, which includes the directors of the Kunstmuseum Bern, the Kunstmuseum Basel, the Museum Ludwig in Cologne and the Kunsthaus Zürich as well as other members co-opted by the Board.